SBS’s Rooftop Prince is a romantic comedy which tells the story of time traveling from 300 years go to present world, but is not obtrusive, and hence is the most suitable for easy viewing among three Wednesday and Thursday dramas. Park Yoochun has shown his natural and sincere yet comical acting, at the same time, the natural Han Ji Min has also displayed great natural acting. If the combination of Park Yoochun and Han Ji Min let people felt odd, then the drama is a total failure. But Han Ji Min has performed an interesting effect of fierce and tough woman working vegetable store. The image of Han Ji Min is pure, elegant and virtuous. In the modern drama Resurrection or historical drama Yi San, she gave the image of shyness. 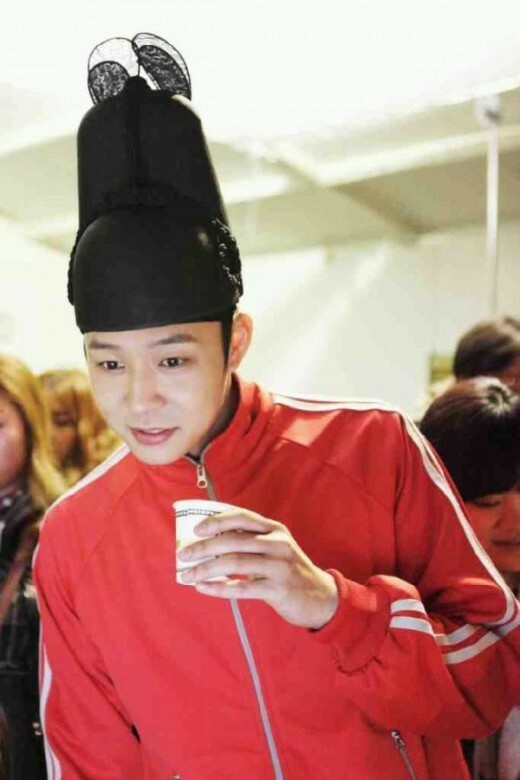 But in Rooftop Prince, she used to experience life in South Korea and United States of America. Sent to USA at 4 years old for foster care, returning alone to South Korea, and opening a vegetable store to make a living. She is a sweetheart who is not controlled by the mystery family background. But the image of capability demonstrated by Han Ji Min is surprisingly very matching with the role. She showcases her acting skill in the scene to train and guide the flowery Crown Prince Lee Gak and the confidant trio to get accustomed to modern life which they don’t know about. Such a superb acting has never been seen in previous dramas. The performance of Han Ji Min in this drama will also make her own acting experience even broader. In the recent drama “Padam Padam”, she also had a lot of emotional plays. She always studied with acting teacher on the filming set. The actors who has experience like her but willing to devoted to continuous learning wholeheartedly are not many. In this drama, apart from middle-aged actors, Ha Ji Min is senior-class. The meaning of her role in the drama, Park Ha, is lotus (or hibiscus), who is the younger sister of Joseon Dynasty Crown Prince Lee Gak’s concubine, and is expected to continue the predestined relationship with Park Yoochun again in the drama. She covers her face due to burn mark, and as such Crown Prince only know her name, but doesn’t know her appearance.